This week we take a look at a new low-cost carrier to South Korea, Air Premia. The startup airline is busy leasing aircraft ready to take to the skies in 2020. Air Premia was founded by ex-Jeju Air president Kim Jong-Cheol. Through private equity funding and investors, it has secured the equivalent of $180 million in funding. Reports in January 2019 revealed the new South Korean carrier had chosen Boeing’s 787-9 Dreamliner to begin building its fleet. It will be leasing three of the aircraft in 2020 and two the year after. Air Premia’s goal is to grow to a total of ten 787-9s within five years. In comparison, Korean Air operates nine of the plane with a further one on order. These new aircraft will offer advanced dimensions in comfort, service and affordability in the Korean marketplace, and will serve Air Premia’s route network efficiently with the latest technology long-range aircraft. We are pleased to embark on this journey with ALC, a trustworthy partner with the market presence to fully support us to introduce our industry disruptive business model to the Northeast Asia market successfully. Air Premia filed its application for an air carrier’s license in December 2018 and received the license in March 2019. It pitches itself as the first airline in South Korea to focus on mid and long-haul routes, with its inaugural flight is planned for September 2020. The airline expects to begin long-haul routes from South Korea to Los Angeles and San Jose in 2021. It has also pinpointed Honolulu, Vancouver, Munich, and Cairns as future destinations. 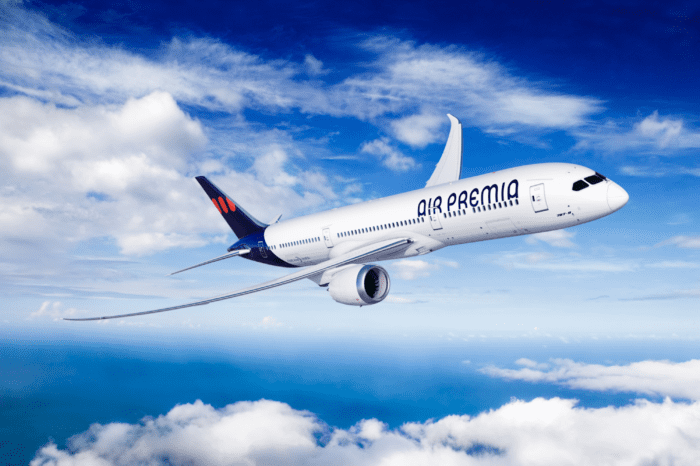 Air Premia will offer two seating classes, Premium Economy and Economy. Premium seating will have 42 inch pitch seats with business class services including priority check-in, boarding, and baggage handling. Air Premia says its Economy seating, at 35 inches pitch, will be the widest seating in its class. As a low-cost carrier (LCC) Air Premia is hoping to offer flight prices 10-20% below those of Korean full-service carrier (FSC) economy class. 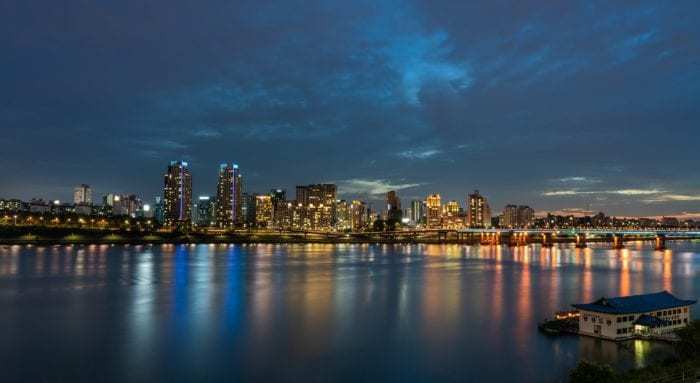 South Korea’s Ministry of Land, Infrastructure, and Transport (MLIT) granted a total of three licenses to new low-cost carriers in March 2019. The other two are Aero K and Fly Gangwon. To prevent too much competition in one region MILT has dictated the new airlines base operations. Air Premia will be based at Seoul Incheon Airport, Aero K will be based at Cheongju International Airport and Fly Gangwon at Yangyang International Airport. Air Premia could gain an advantage by being based at Seoul, as this is a major airport. Conversely, both other airports are reportedly operating at a loss. Though there are a number of LCCs operating in South Korean airspace MLIT official Kim Jung Rak says a survey carried out in 2018 revealed potential for growth in the market. Air Premia, Aero K, and Fly Gangwon, will join the six existing LCCs, Jeju Air, Air Busan, Jin Air, T’way Air, Air Seoul, and Eaststar Jet. The six currently have a domestic market share of 55.8% and all of them operate international flights.